I never thought I'd be one to build a website, but when you put the words 'no coding!' in front of me, the impossible suddenly becomes the possible. 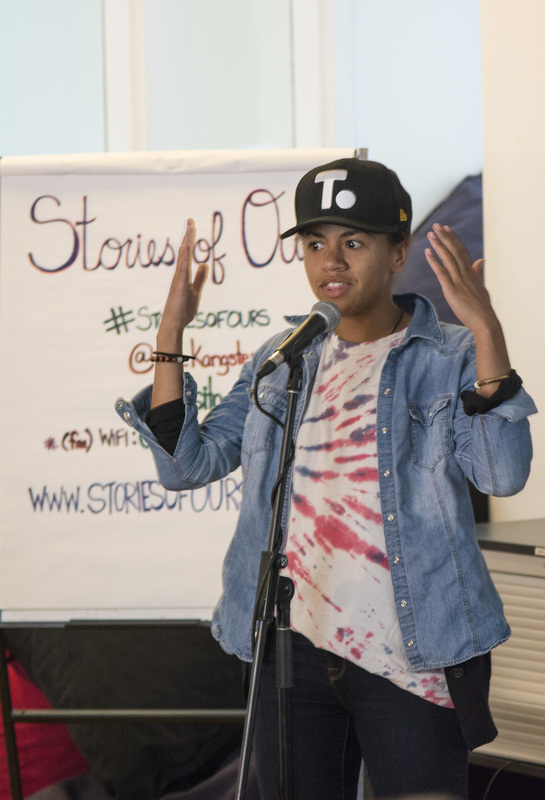 Welcome to Stories of Ours... a project that was born at my kitchen table, where my mom and I dove into a conversation reminiscing about our struggles and triumphs together. After some moments of marvelling at how we got to be where we are, it occurred to me that while my mom knew almost everything about my story, I knew precious little of hers. So we started talking. Like many of us, we've gone through some rough times. It's only when we stop to reflect that we can fully appreciate how these experiences shaped our current selves, and how much our future selves will be shaped by experiences to come. I'm struck by how insular my mom can be as part of the Korean community in Toronto. As I speak of in the story I shared at our past event, it's very taboo to talk about negative aspects of family life. When we went through our struggles, at first my sister and I were not permitted to talk to anyone about them. It would be embarrassing to know that our family was breaking, particularly coming from a culture where strong families core to our identity. Being born here in Canada, and growing up in a much different setting than our parents, naturally I rebelled and eventually shared our secrets with some friends. While it wasn't always smooth, and I wasn't always my best self, this began my healing process: letting others in. And then the second part of the process: realizing I'm not always my best self, and that's okay. The goal of my project is simple. Open doors between people by sharing our stories. It's not about integration, it's not about assimilation. In the grand scheme of things, it's not even about immigration. It's about honouring the differences and similarities we share as a human race, and using these experiences to colour how we live our lives. It's about dialogue. It's about connecting. Only through this can the foundation for social change be laid down. Not policies, not strategies, not even laws; if the foundation is shaky, the rest will be too. 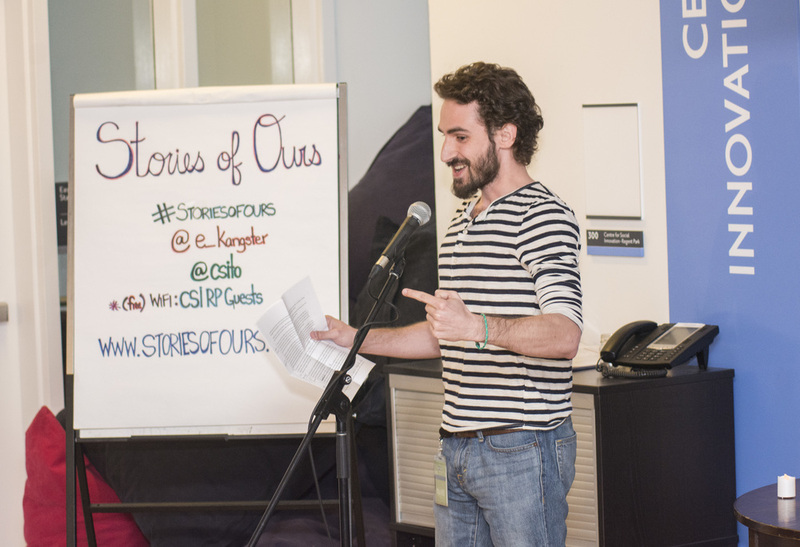 Last week we hosted our 2nd ever event, and thus put 7 more stories out into the world. Below are some photos and the videos will be ready soon. And hey guess what? My mom came! Thanks to Sean Decory for the lovely photos. I believe that what is needed, to solve any issue - large-scale economic crises, human rights violations, or a family spat - is the ability to realize, there is no Me vs. You... there is no Us vs. Them... there is only Us, and the stories we share. The Stories of Ours.